The 350,000 sq. 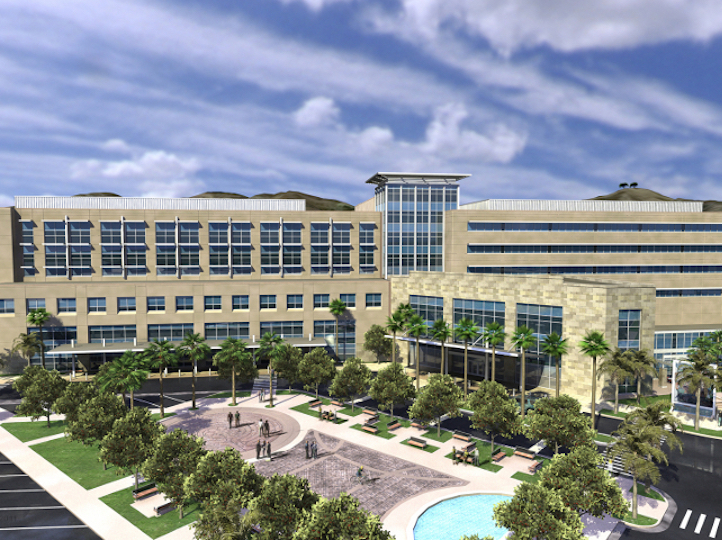 ft. Community Memorial Hospital in Ventura, CA, is one of the most critical economic investments in Ventura in decades. The impetus for the new facility was a state seismic mandate requiring all acute-care hospitals in California to rebuild or retrofit their buildings to meet certain earthquake standards. 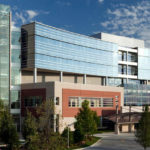 To ensure the facility met the strict state requirements, as well as met the design and complex functionality needed for daily use, American Direct and AccessNsite worked with the hospital, architect, and general contractor to deliver a totally integrated safety and security solution for Community Memorial. Balancing the safety and the security issues in any hospital is challenging. There are so many areas of the hospital that need a highly secure environment. For example Labor and Delivery and the NICU. It is extremely important to be able to monitor who is accessing those areas and when they are accessed. American Direct had the task of providing openings that fit the functionality and effectiveness required in such a critical environment. More than 2,000 openings had to be considered on this project. American Direct provided 1,325 hollow metal frames, 204 hollow metal doors, and 1,120 wood doors along with an array of locks and door hardware. Each medical suite (OR, ER, NICU, etc.) is separated with a door featuring card reader access control. Because of the nature of hospital business, these secure opening solutions must be capable of restricting access to sensitive areas and tracking and preventing the theft of vital healthcare equipment and drugs, in addition to protecting both staff and patients. In addition, door tolerances are tighter in a hospital environment than they are in an office building, warehouse, or retail space. “American Direct did an outstanding job to make sure the tolerances were met. They literally measured each door opening and custom fit the door for an exact fit,” says Thompson. 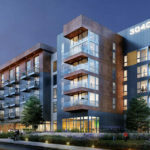 HBE Project Manager, Jon Petriches, says “Inspections in California are rigorous and everything has to be installed perfectly.” Petriches says there were several unexpected construction changes along the way (moving a wall, changing a door size, etc.) which meant hardware changes would ensue. “American Direct facilitated those changes very well by coordinating options and finalizing the appropriate adjustment in a timely manner,” says Petriches.